Scholarly editions of the Bible usually dedicate space to a critical apparatus and various kinds of annotations. SHEBANQ introduces the idea of annotating the text with queries. They show up next to the chapters where the results are. Through it, you can fire MQL queries at the morphological and syntactical ETCBC database (BHSA). Shebanq was developed by Dirk Roorda of DANS labs in conjunction with the ETCBC. 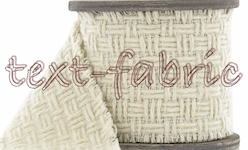 Text-Fabric is a Python module used for accessing the ETCBC’s BHSA syntactic data. It enables researchers to search for advanced linguistic/exegetical patterns and build sophisticated functions for arranging, rearranging, and creating data. Text-Fabric can be run in an iPython notebook where the data processing can be displayed and visualized through code cells, tables, and graphs. TF was built by Dirk Roorda of DANS labs in conjunction with the ETCBC. Bible Online Learner is a platform for teachers and students of the Biblical Languages that teaches students language grammar through a corpus-driven approach. Students are quizzed on vocabulary, parsing, and grammar with data pulled directly from the ETCBC database. Bible Online Learner is developed by Nicolai Winther-Nielsen. This project describes the ETCBC text processing pipeline in detail, from the beginning stages of converting an ancient text into its machine-readable format, all the way up to the encoding of text level data on textual hierarchy. The documentation found herein is intended to also serve as a tool for understanding, using, and improving the data creation process.